Banaras, or Kashi tour package, it is the sacred of all Indian pilgrim cities. Hindus believe Varanasi was estd by Lord Shiva and archeological finding have revealed that Vedic people lived here in the 11th or 12th century BC. You will also visit Gaya and Bodh Gaya tour, Gaya finds mention in the great epics, Ramayana and Mahabharata. Lord Rama along with Sita and Lakshmana visited Gaya for offering PIND-DAAN to their father Dasharath. In Mahabharata, the place has been mentioned as Gayapuri. Later you will visit Bodhgaya- is a religious site and place of pilgrimage associated with the Lord Buddha who got enlightment here. A representative will meet & greet you upon arrival in Kashi, Later drive to your Varanasi pre booked hotel stay. Before heading out on a tour of the Ghats meet your guide /Driver for a tour briefing about the events occurring on the days ahead. Begin your evening tour of this spiritual city with a visit to the Ghats. This series of stone steps leads to the holy river where you will find Hindu and Jain worshipers mediating and teaching along the shores of the Ganges River. Your guide will share stories about Lord Shiva, who chose Varanasi as his home as you watch people from across the country gather to bathe in the waters of the Ganges. Hindus consider this to be the most holy of experiences. Gain a deeper understanding of the belief that those cremated on the sacred steps receive salvation after their death. Overnight at Varanasi. In early morning one can opt to take subah-e-benaras(Sunrise of Varanasi) boat trip(optional) to enjoy the sunrise and also see historical ghats of Varanasi. In the boat trip one can understand tradition & culture of Kashi. Later visit to Vishwanath temple, Annapurna devi, Vishalakshi devi, Sankat mochan, durga kund, manas temple and Birla temple - BHU and in afternoon visit Sarnath (10kms from Kashi) is the place where Lord Buddha had preached his sermon/dharma to his first five disciples after attaining enlightenment in Bodh Gaya. In Sarnath visit Dhamek Stupa - most visited and known as most important Buddhist shrine in the world. Later also visit museum, Thai temple, Main temple.Overnight in Varanasi. In morning drive to Gaya -Lord Rama along with Sita & Lakshmana visited Gaya for offering PIND-DAAN to their father Dasharath, where one can do darshan of Vishnu padam and also you may do puja for fore fathers (Shradh puja) later visit world heritage place bodhgaya where lord budha have done meditation for 6 years and anandvan forest. In Bodh Gaya visit Mahabodhi temple, China temple, Thai Temple, japanese Temple and return to Varanasi. Overnight in Varanasi. In morning after breakfast, transfer to Allahabad which is also know as Prayag where you can take bath in triveni sangam and later visit Bada hanuman, Patalpuri, akshayvat, Bhardwaj ashram, Anand bhawan. Overnight in Allahabad. In morning after breakfast, start journey from Allahabad and then transfer to Chitrakoot. In Chitrakoot - is celebrated in ballads & scriptures for its religious importance and close association with the epic Ramayan. It is believed to be the place where Lord Rama and Sita spent 12 yrs of their exile and where the Sage Atri and Sati Anasuiya meditated. Also visit Temples on both side UP and MP. Later return to Allahabad. Overnight in Allahabad. In morning transfer to Ayodhaya and later full day sightseeing. Visit Ramjanam bhumi, Hanuman Garhi, Kanak Bhawan, Ramkot. 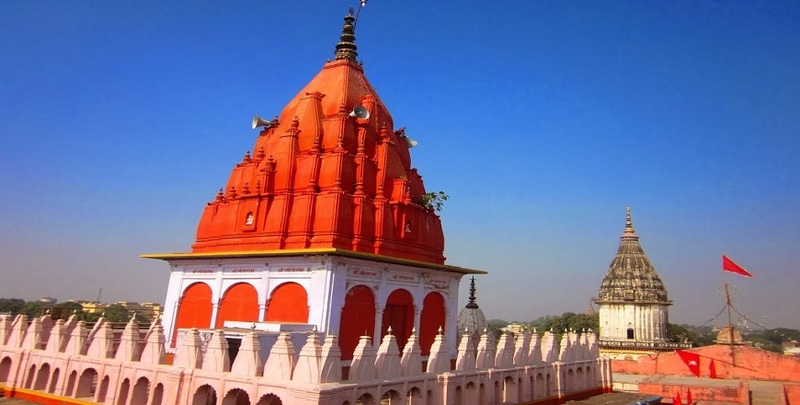 later drive to Nemisharanya- is a Hindu temple dedicated to Vishnu located in the north Indian state of Uttar Pradesh. Overnight in Nemisharanya. Page rendered in 0.0349 seconds.